Paramount Business Jets is proud to offer executive flight services to Grand Turk, Turks and Caicos Islands. Grand Turk provides access to two different airports within just 25 miles from the main city area. These are the Grand Turk International Airport (GDT) and the South Caicos Airport (XSC). Either of these options will perfectly facilitate luxury air travel to or from the city regardless of which type of aircraft category you opt to select. There are several popular types in the Grand Turk area including the Citation II (light jet), the Falcon 20, Learjet 660XR and Gulfstream G150 (midsize jets), and the Gulfstream IIB (large jet). Once you have chosen your optimal type aircraft, you may further personalize your private jet with our wide selection of luxury amenities. 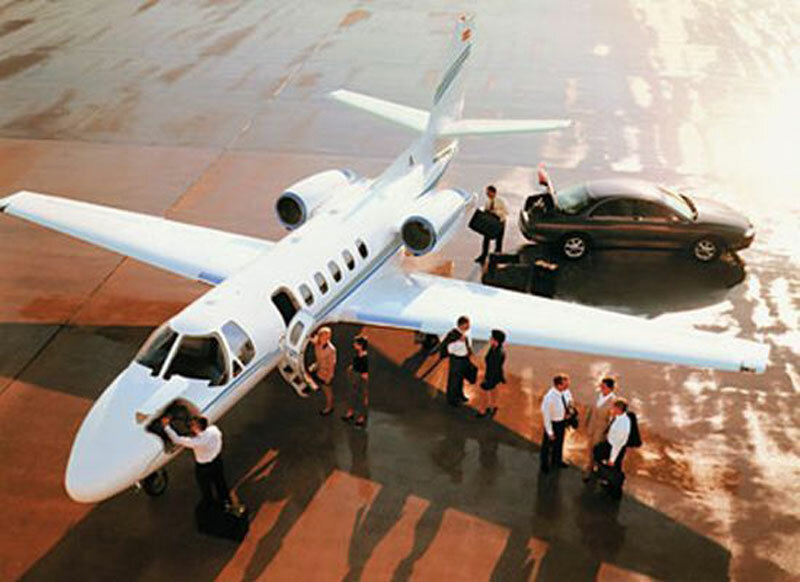 For some clients, extravagant luxury is the main priority and we offer VIP airliner charter services for such situations. However, if your goal is sheer efficiency and value rather than lavish luxuries, we also offer greatly discounted empty leg jet charter services for our private jet clients. For more information, please dial +1-877-727-2538. The Turks and Caicos Islands are a British Overseas Territory in the Caribbean, comprising two island groups between Haiti and the Bahamas, the larger Caicos Islands and the smaller Turks Islands. Grand Turk is the capital island of the Turks and Caicos, the seat of government and commerce, as well as their historic and cultural center. Situated on the 6-mile long Grand Turk Island, Cockburn Town is the centerpiece of the island, with the major streets of Duke and Front lined with historical buildings and ruins dating back from the 18th and to the 19th century that reflect Bermudian and Colonial architecture of the past eras. Cockburn Town's attractions and its surrounding area include the Turks and Caicos National Museum, Her Majesty's Prison, Columbus Landfall Marine National Park, Princess Alexandra Marine Park, Molasses Reef Wreck, Lighthouse, Fire Hill and Hawks Nest Plantation. The Turks and Caicos has two casinos - Casablanca Casino and Players Club Casino, both located on Providenciales Island. A variety of festivals and events are held on the Turks and Caicos Islands throughout the year including the Heineken Game Fishing Tournament, Turks and Caicos Conch Festival, Big South Regatta, Iron Divemaster Competition, Turks and Caicos Music and Cultural Festival, among others. The Turks and Caicos are a popular vacation destination, with white sandy beaches, crystal waters, historic attractions and the year-round happening events.